Shannon Albert loves to help others with strategies on planning their Walt Disney World vacation! I got to meet Shannon while were both at Podcast Movement. We were both in the same room to see Lee Cockerell’s talk and we started chatting about our dislike of webinars. She runs a great site for Walt Disney World vacationers to go and get strategies to help make their stay more magical. Make sure you check out her site www.WDWPrepSchool.com! 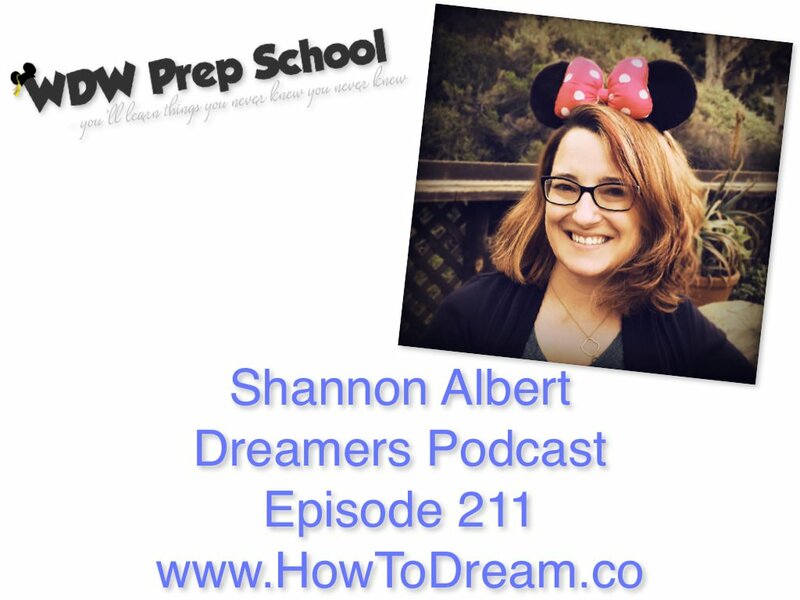 WDW Prep School was created by Shannon Albert. After planning several trips for herself and others, she decided to compile the information so that even more people could learn how to plan their own trips successfully. Shannon’s approach to planning is focused around doing lots of research, making a plan with lots of fun touches and then being flexible so that everyone has a great time on their Disney World trip. Shannon’s own family (including her husband, daughter and son) have enjoyed several Disney trips. Their very favorite resort is The Beach Club – a 5 minute walk from their favorite park, Epcot.